From Lake Geneva, Wisconsin, Zach comes from a musical family. He discovered the theatre pipe organ at age five, when his family happened to visit Organ Piper Pizza in Greenfield, Wisconsin. At that time, the Organ Piper’s Featured Organist was Dave Wickerham, who was highly influential in Zach’s interest in the instrument. Zach was the first recipient of the George Wright Memorial Fellowship from the American Theatre Organ Society in 2003, allowing him to attend their annual convention that year. 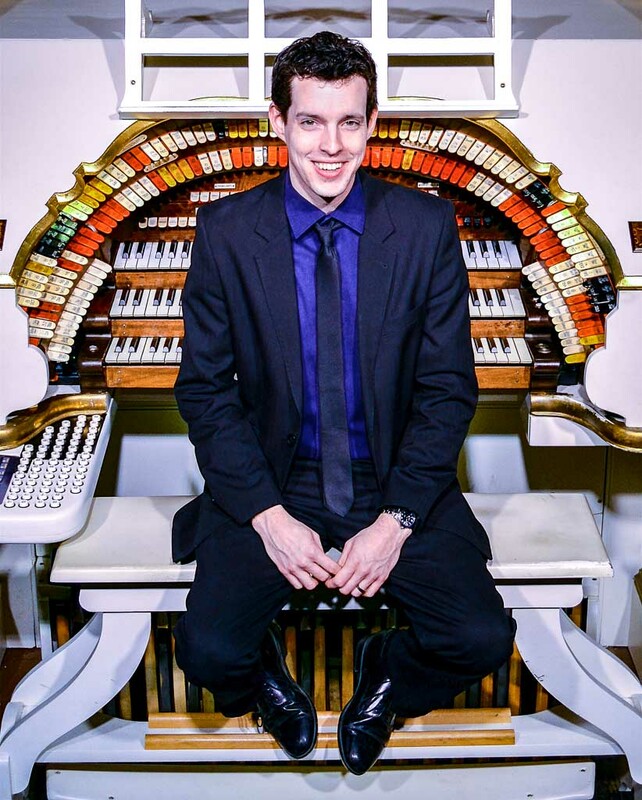 In early 2011, Zach was fortunate to become the Organ Piper’s Featured Organist, where he continues to entertain nightly at the three manual, thirty rank theatre pipe organ. Equally at home behind the console as in front of it, Zach is also an experienced pipe organ technician and is involved in maintaining, restoring and installing several instruments in South Eastern Wisconsin. This list includes the Organ Piper Pizza Wurlitzer, his own ten rank Barton organ and a few church installations in the area. Away from his profession, Zach and his wife Emily reside in East Troy, Wisconsin where he is an active volunteer with the East Troy Railroad Museum. The museum works to preserve the rail heritage of Wisconsin and America and operates restored streetcars and electric interurban equipment on seven and a half miles of original interurban right-of-way.